← Stainless Zenith exhaust notes, poor Internet advice. I recently saw parts of a discussion of the merits of different types of fuselage construction from a crash worthiness stand point. These discussions go on in homebuilt circles endlessly, and they are mostly harmless banter. People tend to have seen the results of a single accident, or have some type of favorite construction that they would like to promote as ‘crash worthy,’ mostly to reassure themselves that they have made a good choice. In professional circles, there is little question that steel tube structures are the most crash worthy of the readily available methods of construction for light aircraft. People are entitled to disagree with this, but they would have a hard time statistically supporting their position. My degree from Embry-Riddle is in Professional Aeronautics, which was the accreditation term that covers the discipline of accident investigation. Even back then my focus was on light aircraft and we have 5 feet of shelf space on the sun porch devoted to books on the subject. If your thinking about a basic book on the subject, start with Thurston’s “Design for Safety.” All of the material and data on the porch supports the use of steel tubing. One of the best ways to look at an issue is study an extreme example, like Ag planes. Almost every successful Ag plane design has a steel tube structure. These aircraft have a very high survival rate in accidents for a lot of reasons like the pilots being very skilled and the fact they almost all wear helmets, but the basic structure of the planes has a lot to do with it. The actual example I use below is just a little outside aviation, but it does a very good job of illustrating the protective nature of steel tubing in accidents. If the engine stops in a STOL plane at 1,000′ AGL, you are going to be on the ground in 60 seconds or less, and you are barely going to get a 1/2 mile of ground distance covered in this glide. When you get to the ground you will round out at speed substantially higher than a Cub flairs at, and you will need to time the flair carefully because the energy will bleed off very quickly when you begin the flair. With practice, the actual ground roll can be very short. A STOL airplane pilot who always flies power on approaches is probably not going to be able to self teach the above technique in a 60 second window the first time he has a power loss. To benefit from the airplanes capability, this must be practiced. Contrast this with the 56-year-old 1-26 glider in our front yard. With no power or lift and 1,000′ AGL, it will have more than 9 minutes before it gets to the ground. It’s ground track will be more than 4 1/2 miles long. It has a 24:1 glide ratio clean, and 3:1 with the spoilers open and in a slip. the flair is the definition of forgiving. Our glider has 6,000 landings on it, it has never had the luxury of a single go around, and it has never had a single dent put in it in a landing. That’s 6,000 consecutive forced landings with a great outcome every time. Yet listening to internet chatter about characteristics of ‘safe’ planes, glide ratio rarely comes up. TURN OVER STRUCTURE, ABILITY TO ESCAPE INVERTED AIRCRAFT: High—-low. I think of the factors as a matrix. Consider the 1-26: It has a steel tube fuselage, no fuel tank, a low stall speed, a great glide ratio, and a steel tube roll over structure and the ability to discard the canopy in seconds by pulling two pins on the inside. Experience says this aircraft is pretty low risk in a forced landing. Conversely, you wouldn’t choose to be in a wood plane with a fiberglass fuel tank in the cockpit, a high landing speed a 5:1 glide ratio and no turn over structure. Chances are your airplane is in between these extremes, but you still have choices. I like the wing tanks instead of header tanks in Zenith HD and HDS models. If a plane had a fuselage tank, I would make it from aluminum rather than fiberglass. It a plane as an optional long wing, choose that. There are combinations I like and those I don’t. Example: I don’t mind flying planes with fuselage tanks, as long as the plane has a steel tube fuselage and the tank is not fiberglass. There are vetos, like no planes that are wood fuselages and pushers, no planes with stall speed much over 65 mph. There are particular designs I would fly, some I wouldn’t fly if you were willing to pay me a cubic foot of $20 bills, and some I wouldn’t fly with a pistol at my head. These are my opinions, the point is to develop your own. A single factor isn’t king: Two Pietenpols, one steel tube the other wood, which is ‘safer?’ If the wood one has no header tank, strong cabanes and is in CG, I would fly it before I would fly a steel tube plane with a fiberglass header tank, dinky cabanes and an aft CG. Dan Weseman has a personal rule I find interesting. He will not fly a plane that can not out climb it’s glide slope. If he takes off and climbs out at full rate, he has to know that the plane can turn around and glide back to the airport. For a plane that climbs at 60 mph and has a 10:1 glide ratio, it needs to climb at better than 528 fpm. Ultralights make the grade even though the have poor glide ratios because their rate and angle are both very good. Keep factor #1 in mind: Who is flying? I would rather land a fast wooden plane at night with a zip lock bag of 100LL in my lap, a lit Cuban cigar in my teeth and my feet chained to the rudder pedals than take a trip around the pattern on a sunny day in a Stearman with some of the pilots I have met. I am serious. Avoid these people like your life depends on it, because it does. Make it your goal in aviation not to be one of these pilots. Back to looking at a single factor, the steel tube fuselage. Here is the best example of their strength: Top fuel dragsters. Their frames are steel tube structures, made very much in the same way as aircraft fuselages. A fuel rail weighs about 2,000 pounds. take everything off but the steel tube chassis, and it weighs about 400 pounds. The tubing is bigger than light planes, but most planes don’t go 325 miles per hour and none have 7,000 hp. Below is a link to a phenomenon of the 1980s called a “Blowover” I was present at the 1986 summer nationals at Englishtown and saw the very first one from the 800′ mark on Garlits’s side. It was stunning in person. He flew by backwards going 225 mph. Watch the video to know that Garlits is the greatest show man on earth because he drove back down the track to the middle of the grand stands, got out on his own, stood up and took a bow. 75,000 fans went wild, we had just seen the greatest moment ever in Drag racing, the purest of American motor sports. (Above) The 1990 photo of Don Prudhomme’s wreckage in Montreal. It is outside the rail, and went over backwards at 250 mph. The lightly built front end is gone, but the drivers section is intact. This was one of two wrecks like this for him in one season. He was protected enough to not only live, but come back a week later and compete. There is no wood structure that could be built as a chassis for a fuel rail that would protect a driver in a blow over. Steel tubing works. Notice the drivers get right out of the dragsters even after the most violent of blow overs. Prudhome, Hill and Collins were all doing more than 250 mph. When you watch the details, notice that dragsters don’t have diagonals in the frames. They do this to be flexible in ways that are not desirable in fuselages. People often talk about energy absorbing structures, but they must deform without exposing the occupants. Steel tubing passes this test. Wood often does not. Don’t know much about drag racing? Your missing the drama of dueling and the sound of pure thermo-mechanical violence. Ask any person who has felt (it goes way beyond hearing) the launch of two 7,000 hp dragsters and they will tell you nothing compares with it. If you are a Corvair builder who thinks our favorite engine sounds sweet, you will love it. If a person likes the sound of a Rotax 912, I am sorry, they can’t be helped. The two photos below tell an interesting tale. All of the dragsters in the blow overs are rear engine models. These came into being in the 1970s. If you think that the blow overs required people of a particular courage to keep racing, you are correct. But if you asked any of them, they would all gladly testify that the required courage was less than what it took to drive Front engined fuel rails, arguably the most demanding and dangerous motor vehicle. These emerged in the 1960s. Advances in engines made thousands of hp available before chassis design caught up, and when safety was drivers in open-faced helmets, sitting on the ring and pinion, with the clutch between their legs, and a raging blown Chrysler in front of their face. These were very special humans with the courage to do this. The 1960s were a period of time when we generated a number of people willing to take risks to achieve something. To me, Don Garlits and Neil Armstrong had more in common than most people noticed. Advanced education gave Armstrong a different path than a young man from Ocala FL in the 1940s could hope for, but in their own arenas, their personal courage and their willingness to engage calculated risk made them legends. Today our society is obsessed with celebrity culture, people famous for going to rehab, actors with little talent, talk show people with nothing to say, and all day to say it. It is a distorted reality, and I choose to ignore it and focus on a time when we thought more clearly and knew what made individuals worth admiring. Aviation, particularly Experimental Aviation is one of the very few pure arenas left where you as an individual can personally challenge yourself and develop your skills and hone your craft. Even in experimental aviation, ever more people are looking for a short cut where they don’t have to learn, where they can get done instead of mastering the task. People who think that way have been poisoned by consumer-celebrity society, and their path doesn’t go far. I have been in aviation for a quarter of powered flight and half the history of experimental aviation, and I will absolutely state that the people who get the rewards of learning, building and flying are only the people who are willing to devote themselves to mastering each of these steps. If you are building your own engine to master it, if you are willing to really understand flight, they you will have your place among people of real values and courage. 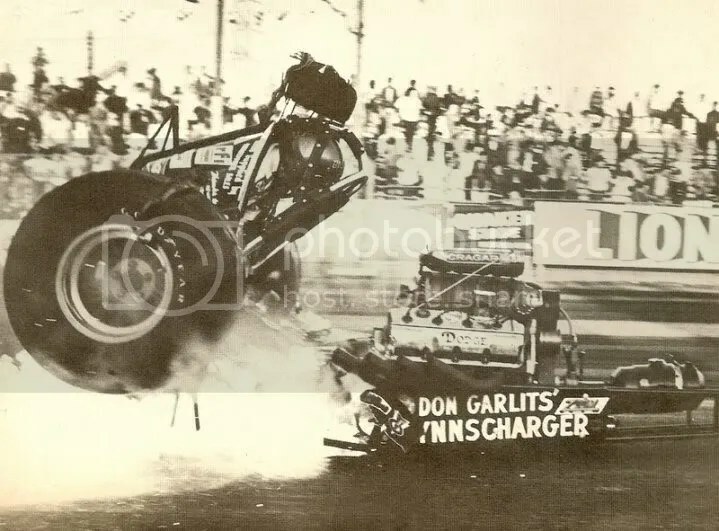 Above, Don Garlits in a front engine blown fuel rail at the moment of the drive line detonating under 2,500 hp. He has just lost most of his right foot. It would be easy to understand if he never got back in a dragster again, but Don Garlits was the kind of American that we respected because quitting wasn’t part of his DNA. He came back from this and competed for 20 more seasons. This event is 16 years before the first blow over. I choose to spend as much of my life in Aviation as possible, because aviation still respects commitment, persistence and courage. This should be required reading of anyone wanting to build an experimental aircraft. Great article. I was wondering, what are your thoughts on the Zenith 750 Cruzer as a safe plane? It has a better glide ratio than the 701/750 STOL, and do you think the partial steel cage in the cockpit makes a difference in safety in the event of a forced landing?